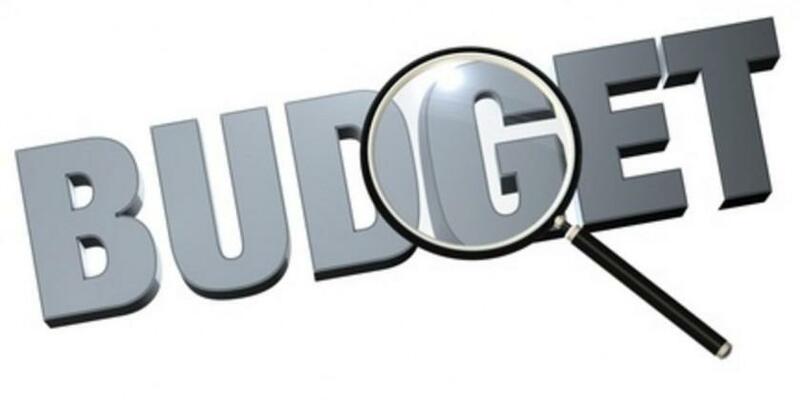 The 2019 National Budget taglined “Austerity for Prosperity” outlined various measures aimed at streamlining expenditure whilst simultaneously stimulating growth. The budget acknowledged the key role that development partners play in supporting health, humanitarian care, agriculture, capacity building, governance, WASH, education and basic social services. According to the Ministry, US$607 million is expected from development partners in 2019. Zimbabwe’s economy has been negatively affected by government expenditure which was financed through the creation of RTGS balances by way of Treasury Bill issuances and the utilisation of the Reserve Bank Overdraft facility. The budget has indicated that TB issuances will now be strictly limited to financing the budget deficit. Furthermore, Government recourse to Central Bank lending through the Overdraft Facility will be reduced from 20% of previous year revenues to a maximum of 5%. These measures will limit significantly limit the Government expenditure to essentials. Since the main thrust of the budget is economic revival and growth, this may lead to less focus on important community, health, livelihoods and other social services. Assistance of the Non-Profit sector will be vital in providing these services to the communities. The budget proposes a number of measures for social services and support for vulnerable groups. There is an allocation US$65 million towards the provision of social safety nets to vulnerable members of societies through the Ministry of Public Service, Labour and Social Services. Vulnerable households will receive agricultural support through the $130 million set aside for supporting the group. The budget also makes provision for the rehabilitation of water and sewer infrastructure, amounting to $45.2 million in 18 urban local authorities. Similarly, 18 rural district councils will implement WASH programs through the $14 million allocation. A third of the expected proceeds from Carbon Tax revenue (about $14.5 million) will be channelled towards towards environmental restoration activities, including monitoring of ambient air quality, toxic chemicals and waste imports, among others. Despite efforts to provide social and environmental support as outlined above, it will there is some scope for NPOs to collaborate with the government on various social protection issues such as livelihoods, gender, people living with disabilities etc. The budget identifies some NPOs (e.g. UNICEF) which are already collaborating with the Government in various initiatives. Inflation rates have been steadily increasing since 2017 and but rose exponentially in October 2018 as the prices responded sharply to the Monetary Policy and Fiscal Measures which were introduced on 1 October 2018. Year-on-year inflation for October 2018 stood at 20.85%, rising 15.46 percentage points from the September figure of 5.39%. Similarly, the month-on-month inflation for October is at 16.44%, representing a 15.52 percentage points increase on the September rate of 0.92%. The increased prices have limited the scope that NPOs can cover in their various focus areas as most budgets had been set at previous price levels. Therefore, the increase in prices has significantly reduced the impact that organisations have in the community, at least in the short term. The Finance Minister assured the nation that inflation will fall in the short term. However, unless inflation falls to the negative territory, the higher prices of goods, coupled with the 1:1 official exchange rate between hard currency and RTGS balances, will mean that in 2019, NPOs are going to have significantly reduced impact on communities for the same hard currency budget. It will be essential to factor in inflation in the budgets for upcoming projects. • Customs duty on motor vehicles to be levied in foreign currency. • Taxation will be charged in the currency of trade. • Employee tax-free threshold increased from $300 to $350. • Withholding tax on non-resident suppliers’ payments. • Goods for use by the physically challenged exempt from import duty. Selected ones zero-rated for VAT. The budget proposes that customs duty on motor vehicle imports be levied in foreign currency. Therefore NPOs will need to use their Nostro FCA accounts when settling any import duty on motor vehicle imports. However, NPOs registered as Private Voluntary Organisations (PVOs) will be exempt from customs duty for the importation of brand new vehicles if it can be proven that such funds were donated from a foreign source specifically for vehicle purchase. Despite the fact that receipt of grants and other income for charitable purposes is exempt from income tax, there are taxes that NPOs need to comply with such as employee tax or Pay-as-you-earn (PAYE) and withholding tax. As per the provisions of the 2019 Budget, taxes relating to payments made in hard currency will be remitted in hard currency. This means that where employees of an NPO are paid in US dollars through Nostro FCA accounts, the PAYE would also need to be paid to a Zimra Nostro FCA account. Similarly, where an NPO withholds tax from a supplier who is being paid in US dollars, withholding tax would have to be settled in US Dollars. Disclaimer: The above is only a guide on tax rates for 2019, official tax tables should be obtained from ZIMRA. From the 1st of January 2019, payments to non-residents will be exempt from 10% withholding tax. Therefore, services of non-resident consultants will be payable to them in full – no tax will be withheld. The budget proposed to suspend customs duty on sanitary wear imports for the 12 months beginning 1 December 2018. These imports will also be exempted from Value Added Tax (VAT). The suspension of duty comes as a relief to those NPOs that focus on women and adolescents as their costs per unit would be lower greater impact will be felt for similar budgets.